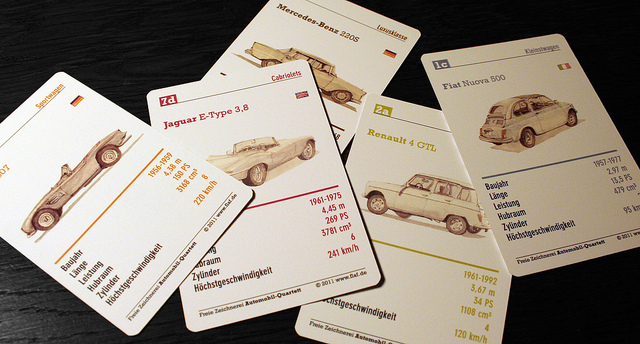 Added 9-12-2013 to Andatura 4, Car Cards represent a renewed feature from earlier versions of the game. Perhaps the fastest and most immediate way to gain car cards enmasse is from the Premium Store due to the Bonus Point purchase addition and powerups. When entering a race with a vehicle you have a card for, you will see small icons next to the car for the corresponding card type. 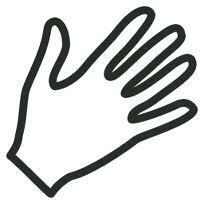 These cannot be used in Class Restricted races. Attributes are NOT reflected when viewing the car page in a race. There is no indication for cars using cards in races so you can use them secretly. By using 5 matching cards, you can upgrade the 5 cards into a single card of a higher tier. This works for a gold or lower card to the next grade by clicking the appropriate Upgrade icon. By using 5 matching DIAMOND cards, you can use the conversion icon to gain that car on the card. This is a useful way to gain out of production vehicles and Limited Edition vehicles. Cards can be sold instantly for IP by using the Trade icon while viewing your binders. These cards are instantly added to the Card Shop pool.